Otto von Schlichtfarber was a clock maker in Düsseldorf. Abe Simpson get a priceless watch from Hermann Goring because he let him live during World War II. Goring managed to escape to Argentina as Señor Hermann Gomez. 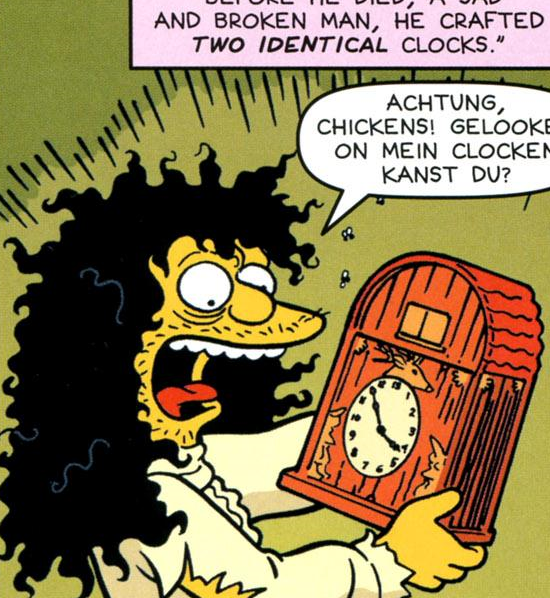 The clock was made by Otto von Schlichtfarber. Homer tried to sell the clock. Modified on June 9, 2013, at 06:03.